It’s National Pie Day! What better excuse to eat all the pie? But before you can eat pie, you have to bake pie. 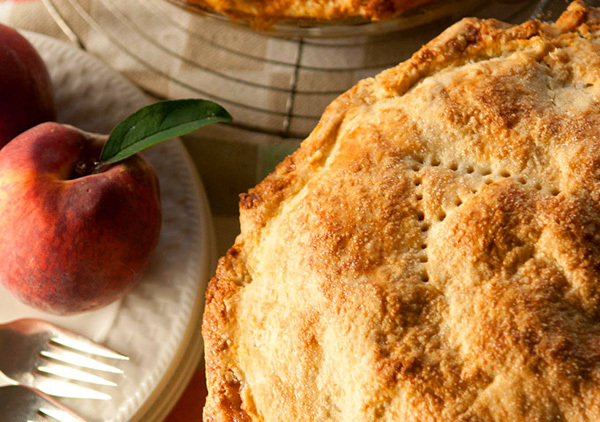 Even novice bakers will be able to produce a gorgeous pie with the help of this recipe from Joyce Maynard, writer of Labor Day. 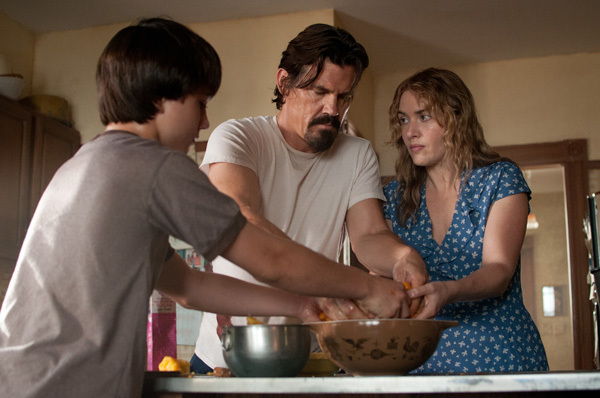 She did, after all, teach actors Josh Brolin and Kate Winslet how to bake this very pie for Paramount Pictures’ new movie. That’s right, no stunt bakers in this film. In a large bowl, combine the peaches, sugar, lemon juice and cinnamon. Stir in 2 tablespoons Minute tapioca to help absorb juices. Let stand, stirring occasionally. In a large bowl, mix the flour and salt. Using a pastry blender, work in the shortening and 1 stick of butter until the mixture resembles coarse crumbs. Sprinkle 1 tablespoon of the ice water over the flour mixture, stirring gently with a fork. Continue adding the water just until the dough holds together. Shape the dough into a ball and divide it into two discs, one slightly larger than the other. Place the smaller disc on a sheet of waxed paper, and use a lightly floured rolling pin to roll the dough into a 12-inch circle. If the dough sticks to the rolling pin, dust it lightly with more flour. Lay a 9- to 10-inch pie pan face down on top of the circle; flip the pan over and remove the paper. For the top crust, on a sheet of waxed paper, roll out the other disc to form a 14-inch circle. Do not roll the dough more than necessary. Sprinkle the remaining tapioca on the bottom crust. Add the filling, mounding it in the center, and dot with 1 tablespoon butter. Lift the waxed paper with the remaining crust and flip it over the filling. Peel back waxed paper. Trim the edges of the crusts and pinch together the top and bottom crusts. Optional: Roll out the trimmings and cut into decorative shapes. Brush the pie with the beaten egg, and arrange the shapes on the crust, if using. Sprinkle with sugar. Poke fork holes or cut vents in the top crust. Bake 40 to 45 minutes, or until golden brown. Serve warm. For the perfect pie crust, never over-handle the dough; use as little ice water as you can get away with; keep all ingredients cold.